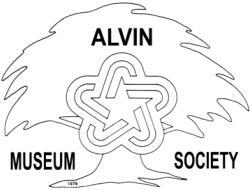 Alvin Museum Society Annual Membership Meeting Honoring Bobbie Case for her years with the Marguerite Rogers House Museum Sunday June 23, 2013 at 2:00 PM at the Alvin Senior Center , 309 W Sealy St, Alvin , Texas. The Marguerite Rogers House Museum has been one of the Society's most treasured possessions. After Herculean fundraising efforts and a lot of blood, sweat, and tears, the House Museum became a reality on April 29,2003. Since that time Bobbie Case and her MRHM Committee have opened the Cottage for visitors on Thursdays, Fridays, and the first Saturdays of the month. Please attend this meeting to honor Bobbie Case and the former and current docents for all their hard work to keep a bit of Alvin history alive. It is time to renew your membership in the museum society. The best way would be to attend this meeting and renew or sign up!